When I think of “trends” my mind immediately thinks about fashion and hairstyles. I flash back to me at age 13 and the “mall bangs” that I wore (I just learned this term) that were popular back in 1986… You know, ratting or teasing bangs into peaks or mounds, and then using hairspray to keep them in place. Why did anyone ever think THAT was a good idea? In the moment, following a trend often seems like a great idea. I mean, if everyone else is doing it, I should too, right? In business, I think it’s important to follow trends. But you don’t want to do so blindly. We always want to make sure that the actions we’re taking in our business make sense for *us* – our personality, our brand, and our stage of business. We also want to consider whether they make sense strategically for the type of business we want to have. 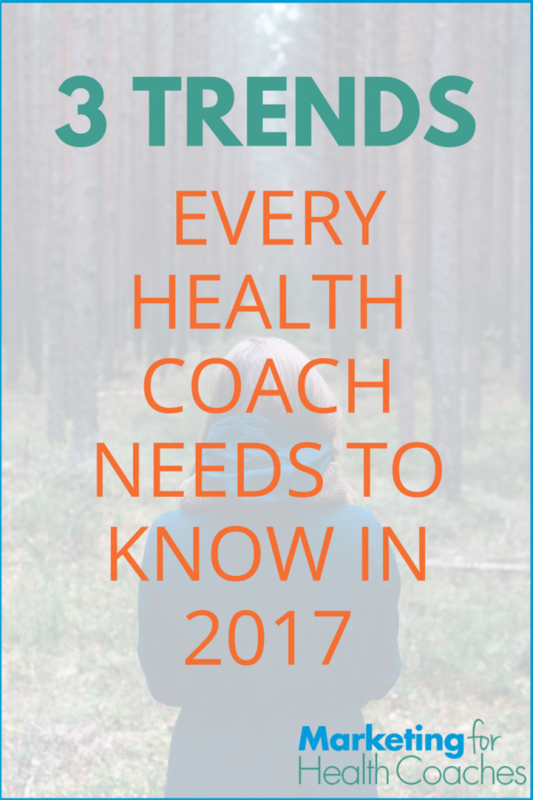 There are a number of trends I’ve been noticing in the health coaching industry that I feel are important to be aware of. 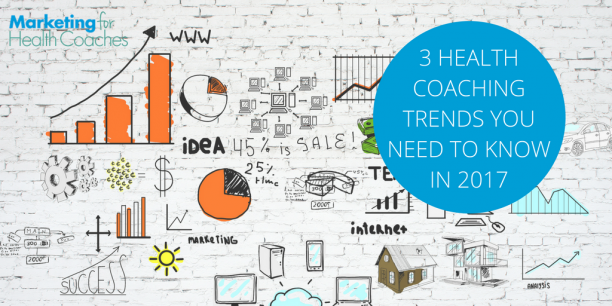 So today, I’m highlighting 3 trends in the health coaching industry that I believe you should strongly consider implementing. Looking for a new recipe? A quick Pinterest search will give you hundreds of possibilities. Want to show your friends and family that cute pic you snapped of your family over the weekend? Post it to Facebook and share it with everyone instantaneously. Nothing on TV seem interesting to you? Access thousands of shows and movies on Netflix whenever you like. We now live in a world of instant gratification and this trickles into every aspect of our lives. When it comes to our health, people want BIG results, and they want them as quickly as possible. They’re struggling and they don’t want to have to wait for weeks in order to see a shift. While you can’t change someone’s body immediately, you can apply this principle when developing your programs and offerings. Instead of offering a 6-month program, make it a 90-day program. As I mentioned in last week’s post, when you offer a 6-month program, clients may feel that it’s going to take months before they experience results, and that may make them more reluctant to sign up. With a shorter program, you can schedule your coaching calls closer together. This will allow you and your clients to build momentum, maintain consistency and (most importantly) accelerate their results. Another powerful option (that gets clients in the door quickly) is to offer a short program, anywhere from 7-21 days, that will still deliver results. Short programs give that “promise” of fast changes. Don’t get me wrong, I don’t advocate yo-yo diets. That’s not what I’m talking about here. But, short programs empower your clients to make big changes QUICKLY. And because they’re cleaning up their diet, they’re going to experience results. The idea to remember is that the FASTER you can help people improve their health, the more likely they are to want to work with you…and CONTINUE working with you. 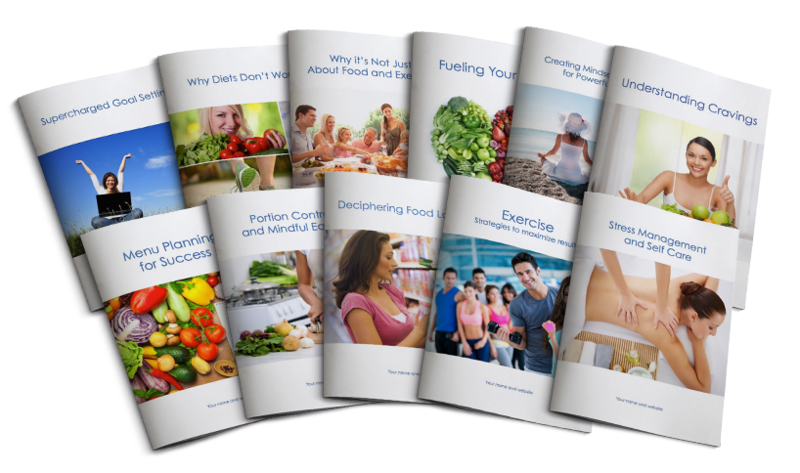 As the health coaching space becomes more popular and more people start their own health coaching businesses online, you might feel that there’s too much competition for you to be successful. While I understand the concern, I want you to know that this is honestly not something for you to be concerned about…especially if you’re able to differentiate yourself from the competition. The key to finding what makes your practice unique is to have a thorough understanding of yourself. There is only one YOU on this planet – no two fingerprints are the same. Your perspective, personality, and communication are unique and valuable. 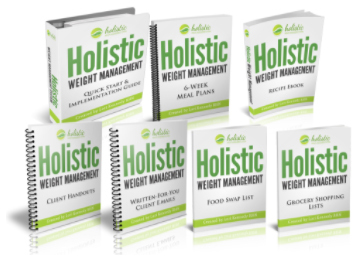 How can you filter the uniqueness of who you are through the channel of your health coaching business? Start by choosing a niche – or an area of focus. 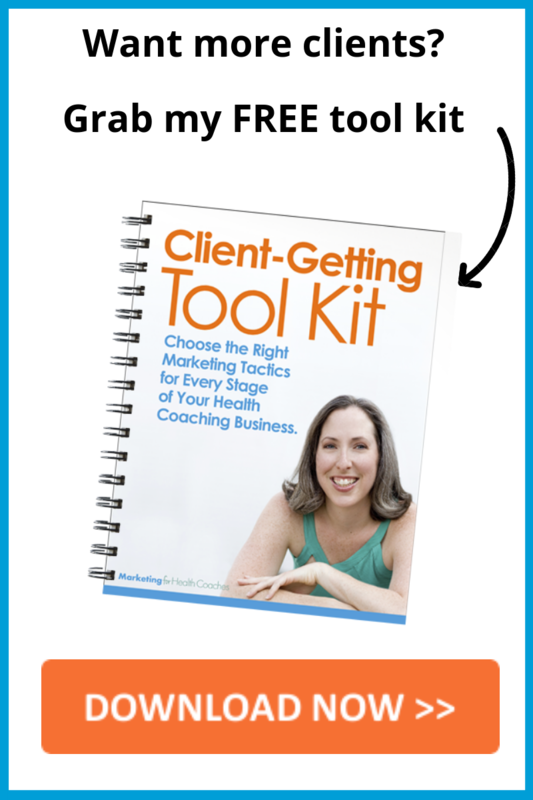 You may think that by narrowing the focus of your practice that you are leaving clients (and money) on the table. This is simply not true. When you focus on working within a niche that you feel passionate about, you’ll see your business take off. Once you’ve chosen a niche, make sure that your personality shines through in your marketing. When writing copy, try not to worry about the “shoulds” and speak to your clients in your own voice. Share photos of yourself and other images that showcase who you are and what you’re all about. Giving clients a taste of who you are will make them eager to sign up for your programs. As you probably already know, there’s a good deal of research that links our thoughts and emotions with the current state of our physical health. Not only that, mindset greatly impacts our ability to take action and “stick with it” in terms of making healthy choices and prioritizing taking care of ourselves. Addressing mindset and the emotional wellbeing of your audience has not only become popular within the health coaching space, but it also plays a key role in your clients’ success. In your programs (and your free content – such as blog posts and social media posts), work the mindset piece into your teachings. Share what’s worked for you! By addressing mindset, you’re offering a more holistic approach – and one that will yield amazing results for your clients. Take moment to think about your business. Which of these trends are you interested in applying? Are you already using any these trends in your business? If not, in what ways would you like to implement them in your practice? This was a great post. I have really began to change my focus/mindset to offer 90 day programs. My question is how many sessions are best? Could a client or even myself become overwhelmed by weekly sessions? Are bi-weekly sessions better, even though it’s a shorter program? I’ve also been re-evaluating myself and what makes me different. Although my strengths are in green smoothies and cleanses, I’ve taken a look at what makes me different being that many coaches offer these programs. I take a food as medicine approach and use that as part of educating my clients to address their health issues. And I agree with the mindset piece. As I think back on why I made changes to my health, it wasn’t just going cold turkey. I truly had a shift in my thinking because I wanted to be released from taking medication. I did this before knowing anything about health coaching. I’m really taking this post to heart and will be implementing these changes and concepts beginning today. Thank you again. You always provide awesome content. Hi Sandra! Good question about a shorter program. One option I’ve used is having 3 calls per month. That leaves some space for a break and vacations or other scheduling issues. I also think weekly can work and can be very powerful – but it’s also a personal decision of what works for YOU. Test it out and see how it goes. You can always switch things up. And if you’re meeting weekly, you can also test shorter sessions. As always, these are fantastic suggestions Amy. I especially like the recommendation to address mindset when we are changing habits to be more healthy. I find the mind/body aspect to be key to success. Thank you! Glad it was helpful Deborah. I know for me it’s easy to get caught up in the specific “how tos” because I’m such a strategy girl, but the mindset piece is also crucial. I love all of these ifeas Amy! I have a particular health journey of healing my condition with food elimination. I don’t lead with that story, but if it comes up, I share it. I certainly don’t hide it either. And I’m also all about the mindset and holistic approach to wellness and success. That’s everything in my opinion!!! It has to start there to be sustainable. I’m so glad this was helpful Janel! You might want to think about leading with your story – especially if it’s a condition you want to help other people with. I love what you said about not worrying about the “shoulds” and speak to clients in our own voices. It is often difficult to hear my own voice because I am too caught up to do the right thing, to get to the result I crave! This information really hit home with me. I’ve been looking at the shorter programs because I just don’t see the long term commitment in most clients. I’m currently participating in a 12 week program that began with a group of 24. We are beginning week 9 and half the group has disappeared. My question, how often would you recommend offering a 5 day free challenge – a 5 or 7 day program – then a 21 or 30 day program? Great questions Terri! There’s no one right answer to your question. It really depends on how often you want to run these programs, but also how many new leads you’re getting – because you don’t want to promote the same free challenge or program to the same people more than 2x year (maybe 3x). With seasonal cleanses, you can offer them seasonally (4x year). What you might want to think about is offering your free challenge 4x year – and having big pushes to promote them through Facebook ads and colleagues/affiliates – so you’re reaching beyond your list. I also want to say that group programs tend to fizzle out after about 6-8 weeks. It’s not just you! Something to think about as you refine your offerings.